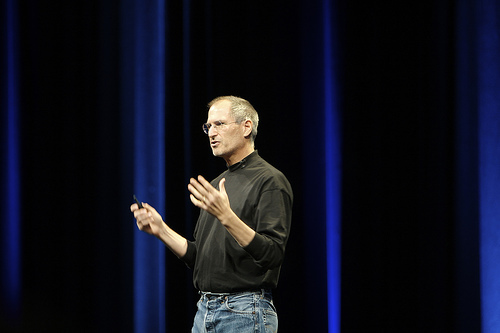 The late Steve Jobs was honoured with a Grammy Trustees Award on Saturday for his contributions to the music industry, which included helping to develop the iPod and reshaping the way music is sold with the iTunes Store. The award is meant to “recognise contributions to the music industry in areas other than performance,” CBS News reports. It was was accepted by Apple’s senior vice-president of Internet Software and Services, Eddy Cue. Next Article Next from Apple: Air-like MacBook Pros?